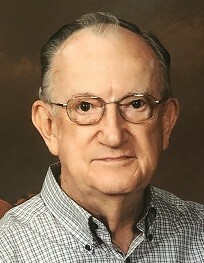 Dr. Curtis T. Henson, Jr.
Dr. Curtis Talmon "Tal" Henson, Jr., died on March 15, 2019. He was born in Bigbee, Alabama, on September 18, 1931. He graduated from Auburn University (API) with a B.S. degree in English in 1952. He served his country as a Naval officer on active duty from 1953 to 1956, taking part in the Korean War, Operation Passage to Freedom and the development of the Distant Early Warning System Program. He achieved the rank of Lieutenant and received the Korean War Medal and the Western Pacific Medal. His tours on the USS Skagit and the USS Hillsborough County took him to the Arctic Circle, Japan, Hong Kong and Vietnam and sparked a lifelong interest in Asian history. He returned to Auburn for his M.A. in history (1958) and subsequently earned his Ph.D. at Tulane University (1965). While at Tulane, he met his beloved Dottie, whom he married in 1962. Together, they moved to Arizona where Tal taught at Grand Canyon College (1962-1963) and to Texas where he taught at the University of Houston (1963-1966). In 1966, he was invited to return to Auburn’s History Department, where he taught until 1993. Prior to retirement, he also served as acting department head. He was a member of the Organization of American Historians and the Naval History Foundation, and he served as president of the Auburn chapter of the American Association of University Professors. He is the author of Commissioners and Commodores; the East India Squadron and American Diplomacy in China (1982) and numerous articles. In addition to teaching, Tal’s interests focused largely on his church, community and family. He served numerous stints on the Session at Auburn’s First Presbyterian Church, taught Sunday School for nearly three decades, and wrote the church history for its 150th anniversary in 2000. He was on the Board of Presbyterian Community Ministry for many years, as well as the Ivey Foundation. He was a loving husband, father and grandfather, and he particularly delighted in babysitting his grandchildren. He was an avid reader, completing at least three books a week. He and Dottie shared a love of jazz music, sparked during their time at Tulane, and he could often be found tapping his toes while listening to his voluminous New Orleans jazz collection. He was preceded in death by his parents, Curtis Talmon Henson, Sr., and Hester Thompson Henson, his sister, Fay Elizabeth Henson (who died in infancy), as well as by his wife, Dorothy “Dottie” Eagleson Henson. Survivors include his children Linda Carter and her husband Billy; Karen Robbins and her husband Steve; grandchildren Amanda Carter Johnson and her husband Daniel, Matthew Carter and Aidan Robbins; and a large extended family. His family would like to thank his medical team, particularly Dr. Linda Farmer, Dr. Justin Campbell, Susan Fitzwater, RN, the entire staff of Bethany House hospice, and his primary caregiver, Joeann Johnson. The memorial service will be held on Saturday, March 23, at 2:00 p.m. at the First Presbyterian Church in Auburn, Alabama, followed by an onsite reception with the family. In lieu of flowers, memorial donations can be made to Presbyterian Community Ministry (PCM) or the Food Bank of East Alabama.